Woodrow is located in a highly visible position in Wellswood and has special connections to CBA. Careful negotiation with the Conservation Officer resulted in a contemporary form with its own identity. 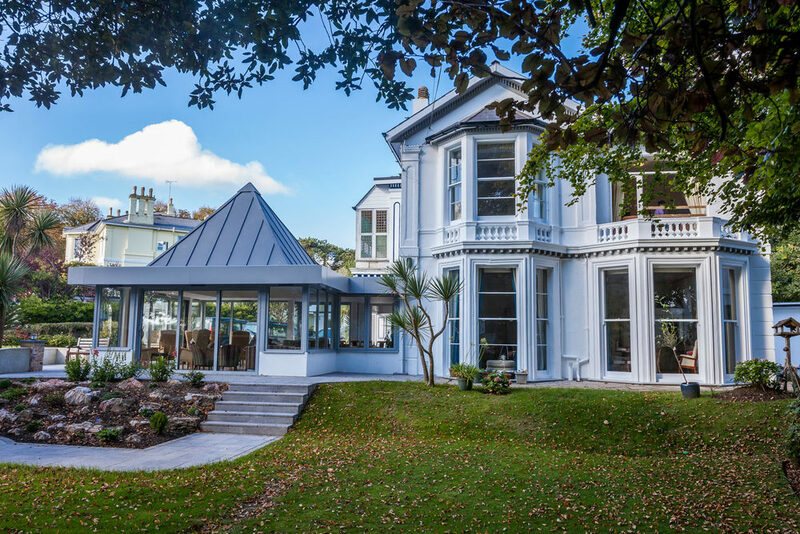 The proposal was to replace the former sun room with a splendid new garden room that can be enjoyed all year round. 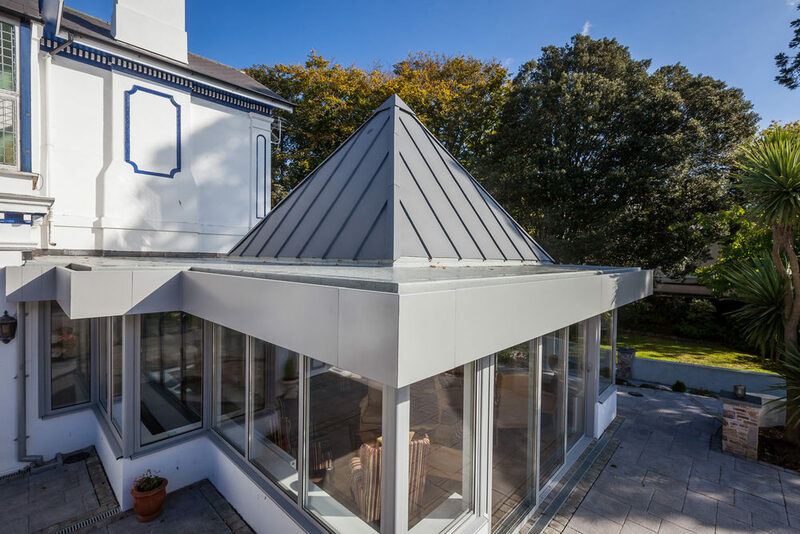 The design echoes the previous extension giving it a modern twist through the use of high quality materials including the zinc roof and aluminium glazing. 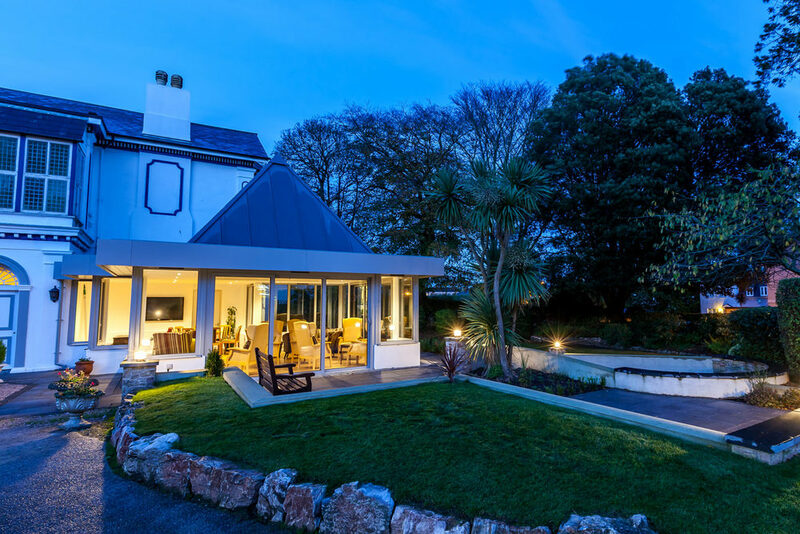 The expansive areas of glass allow natural light to flow in whilst giving great views out towards the mature gardens. The interior really does connect with the exterior. The project also involved providing wheelchair access to the garden which was achieved through clever design and great landscaping. 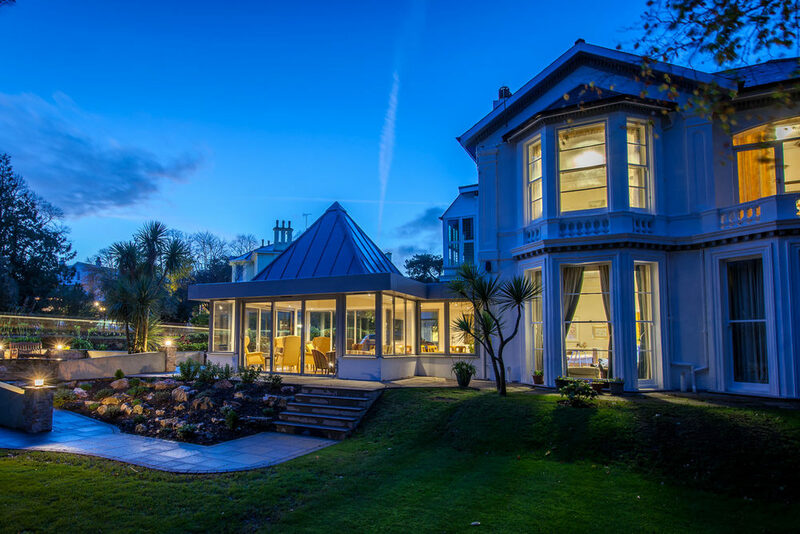 Without doubt this second generation garden room is a worthy edition to this beautiful villa. 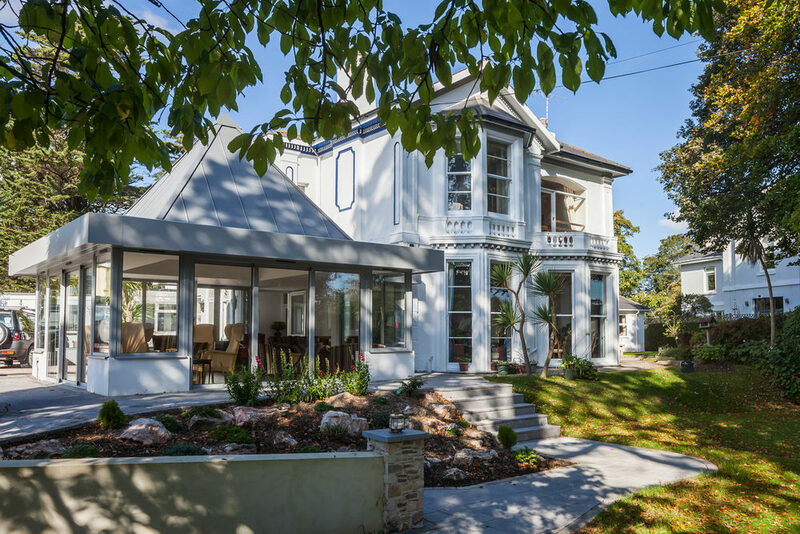 The design echoes the previous extension giving it a modern twist through the use of high quality materials.